Ah, winter! It just keeps going. 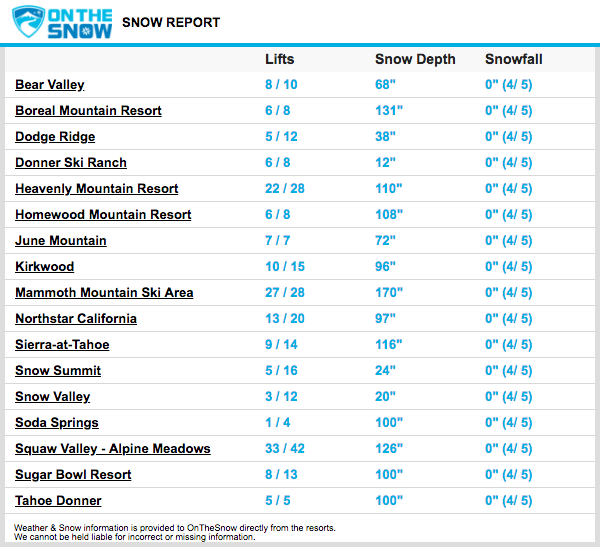 And the snow keeps blowing. 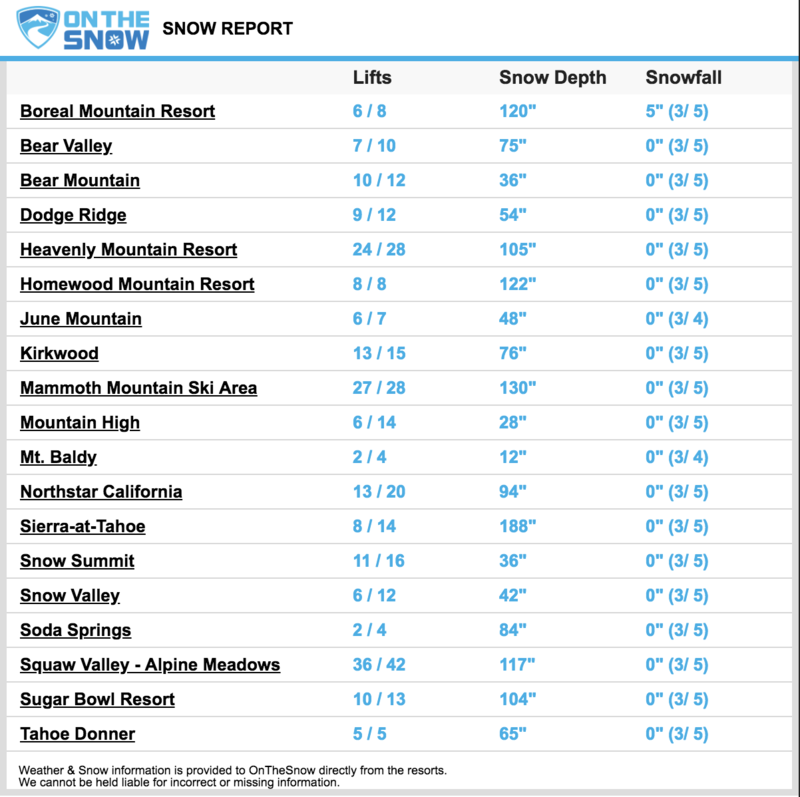 This year, the season started off slow, but we are now having a “Miracle March.” 85 inches at the base of Squaw, 148 inches on top, and with more on the way! This latest storm only dropped a few inches, but we should see considerably more tonight and tomorrow. Then clearing Friday, light snows Saturday, and clear again on Sunday. Temperatures are dropping, so conditions should be good. Need gear? Come see us at The Ski Renter in Cupertino. We rent: skis, snowboards, snowshoes, cross country skis, helmets and clothes. If you need accessories, we are having a sale on all of our retail, with up to 40% off on some items: helmets, gloves, goggles, socks, jackets, etc. And yes, we also carry camping gear! Keep thinking snow, and come see us this weekend! 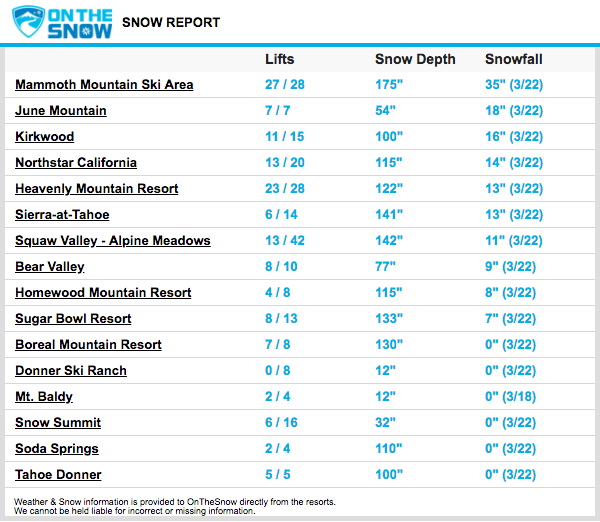 Snow News: Recent Snowfall and Blue Bird Conditions! 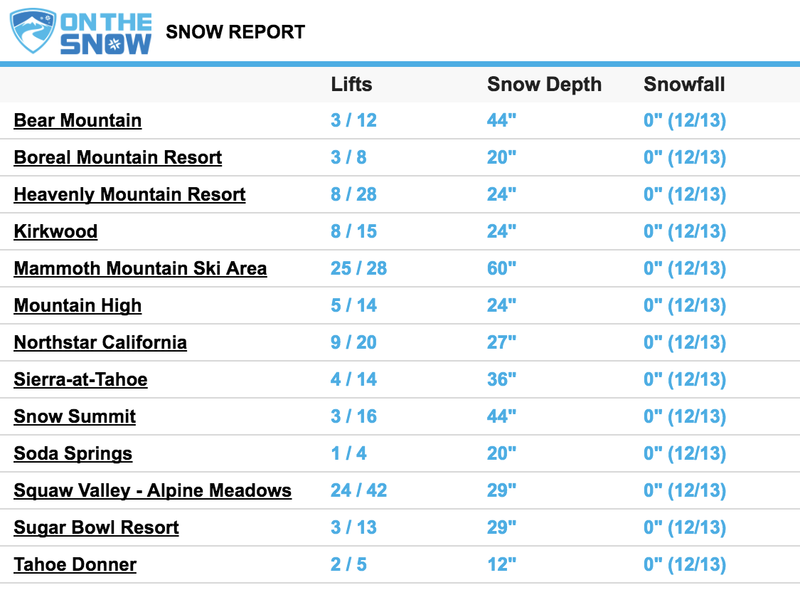 In the last 72 hours, resorts in the Lake Tahoe area have received between 2 ft. and 5.5 ft. of fresh snow! 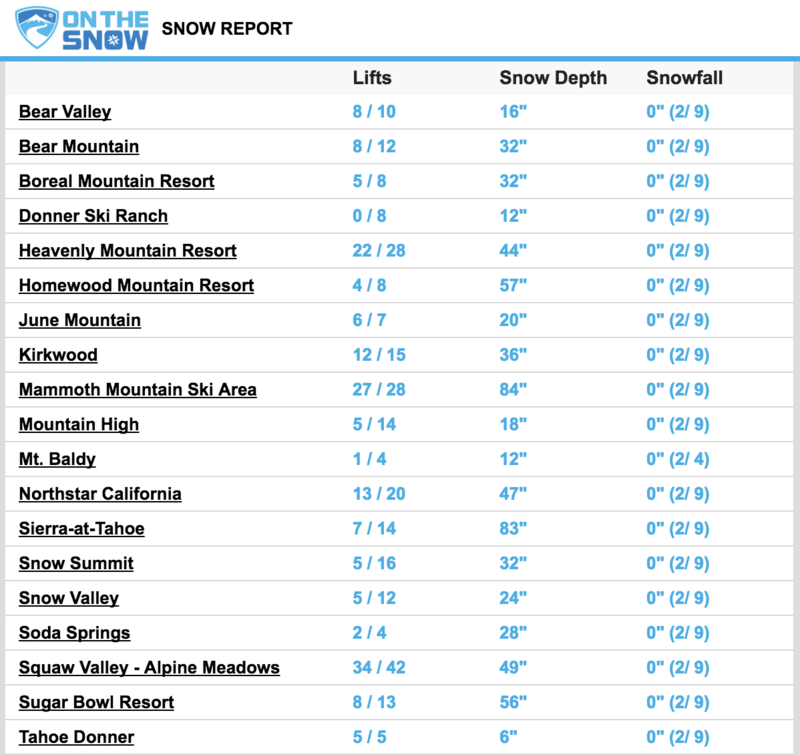 Boreal Mountain Resort has 65″ of new snow, Soda Springs has 59″ and Squaw Valley has 55″. We’re looking at Blue Bird conditions on the hills today and a decent week ahead! So grab your skis… or better yet, rent ours! (That’s kind of what we do, here.) We rent skis and snow boards and all the other stuff that goes with it: boots, poles, snowshoes, parkas, pants, and helmets. We also sell everything else you might want: socks, gloves, goggles, beanies, thermals, helmets, neck gaiters, balaclavas, and more! Visit our shop in Cupertino at 10675 S. De Anza Blvd., Ste. 2. And don’t forget to think snow! /wp-content/uploads/2011/04/the-ski-renter.png 0 0 The Ski Renters /wp-content/uploads/2011/04/the-ski-renter.png The Ski Renters2018-03-05 10:30:482018-06-13 21:19:14Snow News: Recent Snowfall and Blue Bird Conditions! 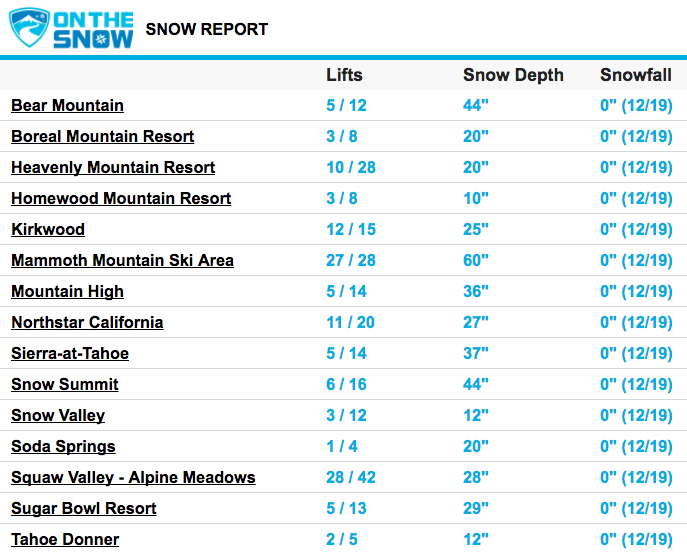 Snow Report: Temperatures are Dropping! We just had some friends return from Northstar. They said the snow is slushy at the bottom in the afternoon, but very good up on top. And the snow-making machines are hard at work every night making more. Even though it is in the 50’s during the day, it has been down to below freezing at night over the next week the temperatures are going to start dropping even more. Great conditions for the snow makers, and a chance for you to get in a little early spring skiing before the temperatures drop further and the next snows arrive. Take advantage of the hills not being too crowded and get out there and enjoy the slopes! /wp-content/uploads/2011/04/the-ski-renter.png 0 0 The Ski Renters /wp-content/uploads/2011/04/the-ski-renter.png The Ski Renters2018-02-10 06:45:272018-06-13 21:21:04Snow Report: Temperatures are Dropping!